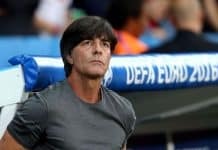 Home Sport News Football Which club has the most players as part of the England squad? With just two weeks to go till the World Cup 2018, we’ll be crawling the web to bring you some of the more interesting stats to wrap your head around and impact your next bet. 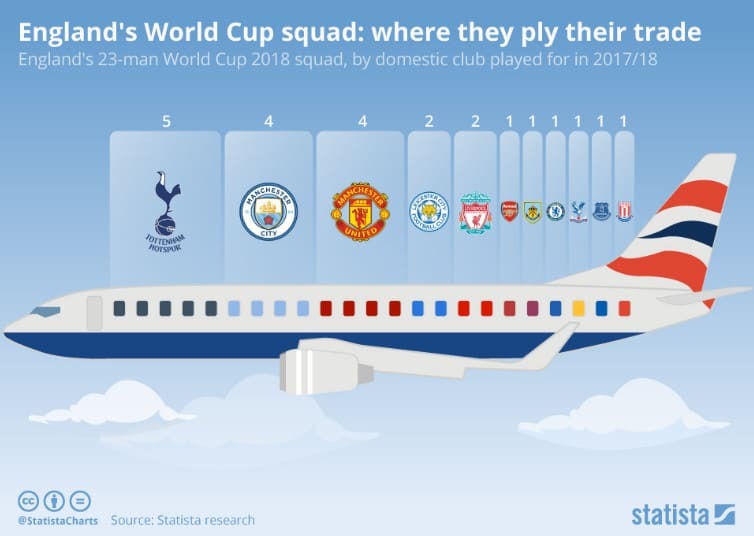 So with Gareth Southgate naming his 23-man squad heading to Russia, below is an infograph from Statista illustrating which clubs have the most players as part of the World Cup 2018 England Squad. While the result may not be all that surprising for hard-core Spurs fans (or any regular season ticket holder), it’s interesting to see just how the shift of power from the north-west clubs such as Manchester United and Liverpool have been overshadowed by the rise of Tottenham. Compare this to four years ago in 2014 when Liverpool had five players on the plane to Brazil (Glen Johnson, Steven Gerrard, Jordan Henderson, Raheem Sterling and Daniel Sturridge). Manchester United also had a decent amount of players (four) in the England squad (Chris Smalling, Phil Jones, Wayne Rooney, Daniel Welbeck). The most startling stat for any Blue’s fans has to be how few Chelsea players are when you look back at the 2006 England line-up (John Terry, Frank Lampard, Joe Cole, Wayne Bridge). 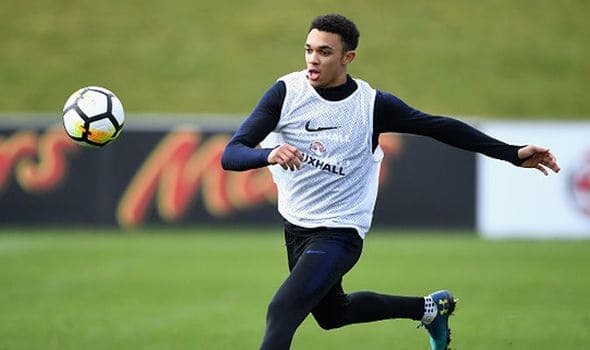 Alexander-Arnold’s impressive performance for Liverpool has earned the young player a seat to Russia. 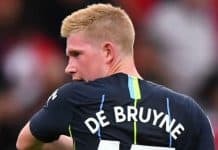 Since Sheikh Mansour’s purchase of Man City in 2009 The Blues have gone through a a complete makeover in the dressing room over the years, in the early years favouring foreign world-class players. 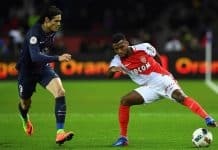 But times they are a changing and over the past two seasons Pep Guardiola has brought in more English talent and this has influenced Southgate’s final decision. While some clubs have taken a hit others have stepped up to the plate including 2015/2016 Premier League winners Leicester City who have both Jamie Vardy up front and Harry Maguire who appears to be Southgate’s preferred centerback.